The universal product for coloured and white laundry. With this stain remover, you can remove even stubborn bleachable stains caused by coffee, red wine, soil, and grass, as well as grease stains. In addition, the multi-active oxygen ensures hygienic cleanliness and deodorises. The Oxi Universal stain remover for coloured and white laundry. Can be used as a washing power booster and for pretreatment. Stains come about easily—but are quickly removed again with HEITMANN Oxi Universal. The powerful stain remover for coloured and white laundry reliably removes even stubborn stains from your laundry. Thanks to the multi-active oxygen, you can remove bleachable stains while being gentle on colours. No matter whether the stains are caused by coffee, red wine, fruit, juice, tea, soil, or grass. At the same time, the multi-active oxygen ensures hygienic cleanliness, removes odours, and deodorises your laundry for long-lasting freshness. The anti-grease formula of HEITMANN Oxi Universal also removes stubborn grease stains. Your laundry is once again brilliantly clean. HEITMANN Oxi Universal is optimised for modern detergents. It does not contain any fragrances and is suitable for all washing temperatures and detergents. One product for all stains: with HEITMANN Oxi Universal, you can remove stains from your coloured laundry while conserving the colours. Regardless of whether the stains are caused by red wine, coffee, or grass. 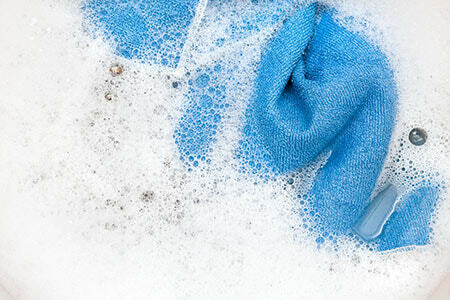 Simply add the stain remover directly to the detergent in the main wash cycle. In the case of heavy soiling and stains, it helps to soak the laundry before washing. This is how you remove even stubborn stains from your coloured and white laundry. Depending on the level of soiling, add one to two measuring spoons (30–60 ml) HEITMANN Oxi Universal to the detergent in the main wash cycle. Dissolve two measuring spoons (60 ml) in four litres of warm water. Do not apply the stain remover directly to the laundry. Place the laundry in the solution. Soak colourfast coloured laundry for a maximum of one hour and whites with stubborn stains overnight. Then wash the laundry as usual. Dissolve half a measuring spoon (15 ml) in 100 ml of warm water. Apply this solution as required to the stain and work in, if necessary. Rinse thoroughly and wash as usual. We recommend that you wear gloves when carrying out the pretreatment process. Not suitable for wool, silk, coated textiles, and leather. Do not soak textiles with metal parts (zips, rivets, etc.). In case of doubt, test colour fastness beforehand. Please note the textile manufacturer’s care instructions. 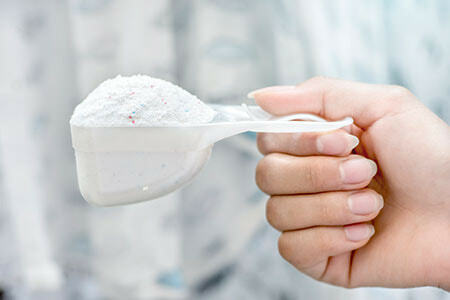 Do not store any leftover dissolved product in open or sealed containers, but dispose of immediately. Store the well-sealed product in a cool, dry place. ATTENTION Harmful if swallowed. Causes serious eye irritation. If medical advice is needed, have product container or label at hand. Keep out of reach of children. Eye protection/face protection. Wash … thoroughly after handling. Do no eat, drink or smoke when using this product. IF IN EYES: Rinse cautiously with water for several minutes. Remove contact lenses, if present and easy to do. Continue rinsing. IF SWALLOWED: Call a POISON CENTER or doctor/physician if you feel unwell. Dispose of content/container in compliance with local and national regulations.